Its just a punch, kick, and a hadoken away from playing this game. Welcome to the international fighting tournament where you'll be sure to meet many unique fighters in various exciting locales. You'll get to play as a vast array of characters and see their story unfold in arcade mode. 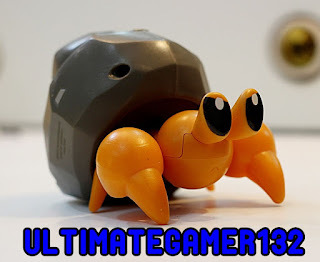 So sit back, relax, and listen to my story on what I thought of Super Street Fighter 4 3d Edition! For a fighting game, it has pretty damn good stories well enough to compare to the likes of Injustice: Gods Among Us. There is a story for every fighter which leads to a hell of a lot of replayability. Also, the stories (naturally) have a beginning and an end represented in anime form. What makes these stories even more engrossing is the fact of how well the cutscenes are animated. No speck or detail is going to make the player shy away in disgust. To appeal to a larger demographic of play types, the fight time and difficulty is adjustable as expected. But, there is one unexpected feature. The fact that you can turn online requests on which act as if you're actually playing in an arcade so people can interrupt a match and play with you. Good thing the internet is equally well done. You have your standard process of matching, selecting, and off you go to fight. The connection is created to perfectly run even when lag tries to barge in and ruin the experience. One thing I really found neat was the addition of a dynamic view (over-the-shoulder view). It gives players the options to either have the standard two-dimensional fighting view for a more traditional experience or a fresh view of a traditional gaming genre. These views are split up into regular modes labeled as versus (two-dimensional view) or 3d versus (dynamic view). The game also includes three lesser modes. The first is challenge mode where you can aim to achieve the highest score in two mini-games or go head-on for a combo challenge unique for each character. The second is figure collection where you can trade, earn, and buy figures of your favorite fighters and force them to be digital prisoners to satisfy your collectible savageness. The final mode is the standard training mode where you can brush up on an old fighter or bring out the dukes and train a new addition to your vast array of skilled fighters. You'll be losing a lot of fights because of your attraction to the fighters! The graphics for the handheld port are amazing enough to compare to those of the console versions. Additionally, the music is various and is equally amazing for every stage. These two factors help bring out the cartoony aesthetic of the game which breathes life into a usually gritty genre. Though, the control scheme may be a negative for losing. Its not that the controls are unappealing or awkwardly placed, but the fact that some buttons are more conveniently placed than others. This makes it difficult to string together combos where one button can mean the difference between a victory and a loss. Also, the aforementioned adjustable difficulties will make the AI tougher, but they can actually offer a fair fight or provide a spam fest of unfair moves being used repeatedly. Super Street Fighter 4 3d Edition not only is a mouthful to say, but a mouthful of over-extenuating content. It has great modes that add new elements to make it seem fresh. Also a nice addition is the crisp visuals and great music. Don't let an odd control scheme or occasional unfair AI sway you from this game. 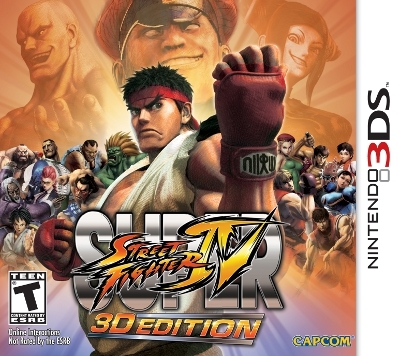 For only $20, Super Street Fighter 4 3d Edition is not only a cheap alternative to the console edition, but a game that can introduce people to the fighting genre and be better than the console alternative.